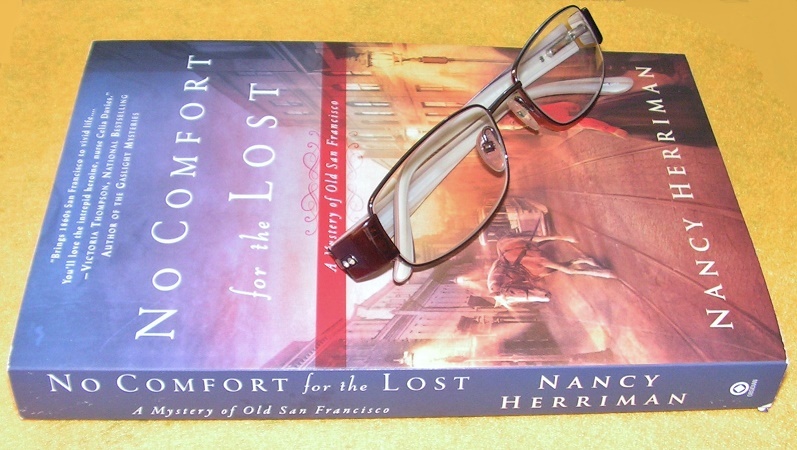 Another new historical mystery on the market, NO COMFORT FOR THE LOST is a beautifully written story. 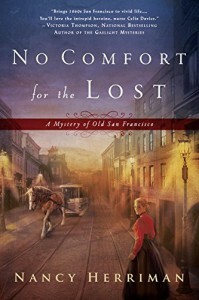 Set in San Francisco in 1867, author Nancy Herriman has captured the feel of the era wonderfully. Celia Davies is a strong young woman. A wonderful new mystery heroine. I enjoyed her scenes with Celia and her cousin Barbara. I’m also a fan of Detective Nicolas Greaves and look forward to reading more about him in future installments. This was a well written mystery, where the research done for the story is clear. Ms. Herriman must have had a real passion for her topic because it really comes through on the pages of NO COMFORT FOR THE LOST. I doubt historical mysteries will ever be my go to choice when picking a new book, but if they keep coming out with books as good as this one, I may be changing my tune. Make sure to check out the back of the book for an excerpt of book two, NO PITY FOR THE DEAD.